Actor Ranveer Singh is gearing up for the release of his upcoming film Gully Boy. Ever since the trailer was out, we have been watching him showcasing his rapping skills. 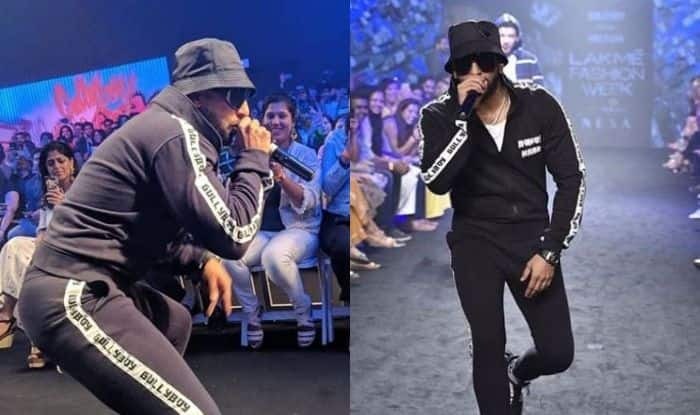 Now, the actor with his gang showcased the clothing line titled GullyGen at the Lakme Fashion Week 2019. We all are aware of his infectious energy. Thus, it didn’t come as a surprise that he rapped live at the ramp and the result was pretty amazing. He was at the best and crowd couldn’t stop cheering him. There is no denying the fact that Ranveer knows the art of winning hearts. Earlier, we saw him cheering for Anil Kapoor from the audience as he walked the ramp at the event. The latter hugged him and in the end both of them were also seen shaking a leg. In Gully Boy, the actor will be seen playing the role of a rapper. It also features Alia Bhatt. The trailer and songs received positive response from the cinema lovers. The movie is directed by Zoya Akhtar.